Question: Who can provide acupuncture in Kansas? Answer: Beginning July 1, 2017, acupuncture will become a separately licensed profession and regulated by the Kansas Board of Healing Arts. The Board is in the process of drafting regulations for the profession to implement the new law. See K.S.A. 65-7601 to 65-7624. Additionally, acupuncture may be performed by licensed healing arts professionals (M.D.s, D.O.s and D.C.s) who are competent to do so. Naturopathic Doctors (N.D.s) may perform acupuncture if they obtain a specialty certification from the Board. See K.S.A. 65-7213. Question: Can a person who has graduated from medical or chiropractic school practice under another person’s license in Kansas while they are waiting on their license, or instead of getting a license? Answer: Generally speaking, no. Practitioners must be fully licensed in Kansas, maintain malpractice insurance, and participate in the Health Care Stabilization Fund. There are a few exceptions. K.S.A. 65-2872(e) permits practice in a preceptorship if that is part of your academic requirements. K.S.A. 65-2872(g) permits practice under supervision, but the unlicensed person still may not hold themselves out as being a physician or chiropractor or bill as a physician or chiropractor. K.S.A. 65-2811a also permits physicians who have graduated from the University of Kansas School of Medicine to practice in a limited scope under supervision in an underserved area if specific requirements are met. Question: I am an out-of-state physician who plans on doing locum tenens practice in the State of Kansas. What are the licensing requirements? Answer: There are no separate licensure requirements for locum tenens practice. Locum tenens Practitioners are required to have a full, active Kansas license, complete continuing education requirements, maintain liability insurance, and participate in the Health Care Stabilization Fund. See: K.S.A. 65-2809; K.S.A. 40-3402 or K.S.A. 40-3403a. Question: What licensure requirements and/or laws are there concerning medical residents who plan on “moonlighting” outside of their residency programs? Answer: At present, a full active Kansas license is required. Medical school graduates that have a postgraduate permit for their residency programs cannot practice outside the scope of their residency program unless they apply for and receive an active Kansas license. Moonlighting also requires separate professional liability coverage and participation in the Health Care Stabilization Fund. Question: Can a physician provide treatment and prescribe medications to family members and friends? Answer: This is more of an “ethical” question than a regulatory one. The Board does not have specific statutes or regulations on point. Kansas physicians who treat family and friends must still adhere to the standard of care and prescribing laws, preserve patient confidentiality and maintain a complete and accurate medical record for all individuals they treat. Question: What are the requirements for a physician to dispense medications directly from their office practice? Answer: Physicians should be familiar with the Board’s requirements for dispensing physicians in K.A.R. 100-21-1 through K.A.R. 100-21-5. If controlled substances will be dispensed, physicians should be familiar with state pharmacy laws and federal laws which may be applicable. Question: Do physicians and physician assistants need to obtain a Kansas registration to prescribe controlled substances, separate from their DEA registration? Answer: Kansas does not have separate controlled substance registration as some other states do. DEA registration is all that is required. Question: What are the Kansas requirements for treating obesity with controlled substances? Answer: The specific requirements are complex and can be found in K.S.A. 65-2837a and K.A.R. 100-23-1. Question: Can an out-of-state Practitioner order services for their patient who is located in Kansas, and can a Kansas facility or health professional accept an order from an out-of-state Practitioner for those services? Answer: An out-of-state physician may order services for their patient located within the State of Kansas. The order must meet the requirements found in K.A.R. 100-26-2. Any health care facility or professional may perform a diagnostic professional service or therapeutic professional service pursuant to a valid order from a licensed, out-of-state Practitioner. See K.S.A. 65-2872; K.A.R. 100-26-1; K.A.R. 100-26-2; K.A.R. 100-26-3. Question: Can an out-of-state physician write a prescription for their patient to be filled in Kansas? Answer: An out-of-state physician can provide a verbal, written or electronic communication that is incidental to the services lawfully provided by the out-of-state Practitioner that is conveyed to a patient located within the State of Kansas, which includes prescriptions for their patient. See K.A.R. 100-26-1; 100-26-2. Question: Can an out-of-state physician do a first-read, interpretation, or diagnosis on lab work, pathology specimens, or x-rays for patients in Kansas without having a Kansas medical license? Answer: No. KAR 100-26-1 clarifies that, regardless of the physician's location, the practice of medicine occurs where the patient is located. The physician must be licensed in Kansas. K.S.A. 65-2872(j) provides an exception for out-of-state Practitioners that are “incidentally called into the state in consultation with Practitioners licensed in this state.” The Board has consistently, though informally, opined that if a radiologist performs a first-read of an x-ray for a Kansas patient, Kansas licensure is required. If the out-of-state radiologist does an over-read to confirm or clarify a Kansas physician's initial impression, the service may be in consultation, and the out-of-state physician may not need a Kansas license. Kansas hospitals are licensed by the Kansas Department of Health and Environment (“KDHE”). K.A.R. 28-34-12(l) requires interpretation of all radiological examinations in hospital to be made by physicians, a term which is defined at K.A.R. 28-34-1a(v) to mean a person licensed to practice medicine in Kansas. As a result, images for hospitals must first be read by a Kansas-licensed physician, but the Kansas physician may consult with an out-of-state physician for a second read. Question: What drugs may a Naturopath prescribe? Answer: According to K.S.A. 65-7202(b)(1), Naturopathic Doctors may prescribe, recommend or administer "food, food extracts, vitamins, minerals, enzymes, whole gland thyroid, botanicals, homeopathic preparations, nonprescription drugs, plant substances that are not designated as prescription drugs or controlled substances, topical drugs...." K.S.A. 65-7202(i) defines topical drugs to include analgesics, antiseptics, scabicides, antifungals and antibacterials that are not prescription only drugs. Additionally, Naturopathic Doctors may prescribe substances that are found on the naturopathic formulary which are authorized for intramuscular or intravenous administration pursuant to a written protocol with a physician. See K.S.A. 65-7202(b)(3). The naturopathic formulary for drugs that are approved for intramuscular or intravenous administration by a naturopathic doctor pursuant to a protocol with a physician are listed in K.A.R. 100-72-8. Question: May a Podiatrist employ, supervise and delegate acts that constitute the practice of podiatry to a physician assistant or a nurse Practitioner? Answer: At present, a physician assistant can only practice by delegation from and supervision of an M.D. or D.O., as defined by K.S.A.65-28a02. Nurse Practitioners may only practice in collaboration with a physician, defined as a person licensed to practice medicine and surgery (M.D.s and D.O.s). See K.S.A. 65-1130(d); K.A.R. 60-11-101(c). Question: Can a podiatrist perform a full, preoperative history & physical on a patient prior to podiatric surgery? Answer: Performing a full, preoperative history and physical is not within the scope of practice for a podiatrist in the State of Kansas. Podiatrists may perform a history and physical specific to the podiatric surgical procedure to be performed. See K.S.A. 65-2002. Question: As a podiatrist, may I perform surgery on both the ankle and foot of patients? Answer: Yes, however, you must comply with the requirements of K.S.A. 65-2002(d) before you may perform surgery on the ankle. K.S.A. 65-2002(d) prohibits podiatrists from performing surgery on the ankle unless such person has completed a three-year-post doctoral surgical residency program in reconstructive rearfoot/ankle surgery and is either board-certified or board qualified progressing to board certification in reconstructive rearfoot/ankle surgery by a nationally recognized certifying organization acceptable to the board. Surgical treatment of the ankle by a podiatrist shall be performed only in a medical care facility, as defined in K.S.A. 65-425 and amendments thereto. Question: Can Kansas Physical Therapists perform dry needling? Answer: Yes. Dry needling is defined as “a skilled intervention using a thin filiform needle to penetrate into or through the skin and stimulate underlying myofascial trigger points or muscular or connective tissues for the management of neuromuscular pain or movement impairments.” Physical therapists should be familiar with the requirements of K.A.R. 100-29-18 through 100-29-21 prior to engaging in dry needling. Question: Can a PTA initiate treatment of a patient? Answer: Pursuant to K.S.A. 65-2914, a PTA shall not treat ailments or other health conditions of human beings except under the direction of a Kansas licensed physical therapist. The statute further explains that a physical therapist shall see all patients initially and evaluate them periodically. The statute does provide for a single exception. It allows a PTA to initiate patient care after telephone contact with the PT for documented instruction in those cases that are in a hospital setting when the physical therapist is not immediately available. If such a situation arises, the statute explains that a PT must then evaluate the patient and establish a plan of treatment as soon as possible, but no later than 7 days after the PTA initiates treatment. See also K.A.R. 100-29-16(d). Question: Do PTs need an order to evaluate a patient and initiate treatment? How often does Kansas law require a physical therapist to obtain a new prescription or order from the referring physician? Answer: K.S.A. 65-2921 authorizes a PT to evaluate and initiate physical therapy treatment without referral from a licensed health care Practitioner. However, if after 10 patient visits or in a period of 15 business days from the initial treatment visit, the patient is not progressing toward documented treatment goals as demonstrated by objective, measurable or functional improvement, or any combination thereof, the PT must obtain a referral from an appropriate licensed health care Practitioner prior to continuing treatment. Question: From which types of licensed Practitioners can a physical therapist accept orders? Question: Under what circumstances are PTs permitted to perform wound debridement services? Answer: Wound care is within a PT’s scope of practice set forth in K.S.A. 65-2901(a). Pursuant to K.S.A. 65-2921(f), physical therapists shall perform wound debridement services only after approval by a person licensed to practice medicine and surgery or other licensed health care Practitioner in appropriately related cases. Question: Can an OT accept referrals from health care professionals other than a physician? Answer: Pursuant to K.S.A. 65-5402(b), the occupational therapist can evaluate and treat a patient pursuant to the referral, supervision, order or direction of a physician, licensed podiatrist, licensed dentist, licensed chiropractor, licensed optometrist, or a licensed physician assistant or a licensed advanced practice registered nurse working pursuant to the order or direction of a person licensed to practice medicine and surgery. Question: In Kansas, to what degree are Occupational Therapists permitted to participate in the treatment of wounds? Answer: Wound debridement is not specified in the occupational therapy act as being within the scope of practice for occupational therapy. Physicians can delegate and supervise other services which may be outside the scope of practice of a particular profession if they comply with K.S.A.65-28,127. However, those services would be considered delegated medical practice, not occupational therapy services. Additionally, the occupational therapist would not be providing those services under their occupational therapy license. Question: How many OTAs can be supervised by an Occupational Therapist? Are there any other requirements for supervising OTAs? Answer: K.A.R. 100-54-12 limits an OT to supervising not more than the combined equivalent of four full-time OTAs, and the total combination OTAs cannot exceed 8. The regulation also contains additional requirements for supervision. Violation of the regulation by either an OT or OTA is grounds for disciplinary action by the Board. Question: Can a licensed radiologic technologist insert an IV and/or administer contrast? Answer: Yes, a licensed radiologic technologist can insert an IV and administer contrast if it is a radiologic technology procedure, they are competent to perform the procedure, and it is upon prescription of a licensed Practitioner. Relevant Statutes/Regulations: K.S.A. 65-7302(c); K.S.A. 65-7302(m); K.S.A. 65-7303(b); K.S.A. 65-7313(10); K.A.R. 100-73-6(f). Question: Is a license required to practice radiologic technology? Answer: Unless an exception applies, it is unlawful for a person to perform radiologic technology procedures for diagnostic or therapeutic purposes unless the person holds a valid license to practice radiologic technology issued by the Kansas Board of Healing Arts. A license is not required for a person to perform radiologic technology procedures if they have obtained 12 credits of continuing education per year that meets the criteria specified in K.A.R. 100-73-7 and includes training related to x-ray equipment operators as specified in K.A.R. 28-35-256, and the person is one of the following: 1) A person licensed to practice medicine and surgery, dentistry, podiatry or chiropractic in this state; 2) a person issued a postgraduate permit by the board or students while in actual attendance in an accredited health care educational program for radiologic technology and under the supervision of a qualified instructor; 3) health care providers in the United States armed forces, public health services, federal facilities and other military service when acting in the line of duty in this state; 4) persons rendering assistance in the case of an emergency; 5) a licensed dental hygienist or an unlicensed person working under the supervision of a licensed dentist who has been trained by a licensed dentist on the proper use of dental radiographic equipment for the purpose of providing medical imaging for dental diagnostic purposes consistent with K.S.A. 65-1422 et seq., and amendments thereto; and 6) a licensed physician assistant, a licensed nurse or an unlicensed person performing radiologic technology procedures who is (1) working under the supervision of a licensed Practitioner or a person designated by a hospital licensed pursuant to K.S.A. 65-425 et seq., and amendments thereto, and (2) who has been trained on the proper use of equipment for the purpose of performing radiologic technology procedures consistent with K.S.A. 65-2001 et seq., or K.S.A. 65-2801 et seq., and amendments thereto. Additionally, Radiologic technology is defined to exclude echocardiography, diagnostic sonography or magnetic resonance imaging. Therefore, a license in not required for echocardiography, diagnostic sonography, or magnetic resonance imaging. Question: Are certified nuclear medicine technologists required be licensed as a radiologic technologist? Answer: Yes. Anyone who performs radiologic technology procedures on humans for diagnostic or therapeutic purposes must be licensed by the state as a radiologic technologist. Radiologic technologist is defined to include a nuclear medicine technologist. Radiologic technology is defined to include nuclear medicine technology. Since a certified nuclear medicine technologist is a radiologic technologist and does perform radiologic technology procedure, they must be licensed as a radiologic technologist. Question: As a supervising physician, am I required to sign-off on all records of patients treated by a Physician Assistant? Answer: Only during the first 30 days of the supervising physician-PA relationship. Otherwise, K.A.R. 100-28a-10 provides discretion to the supervising physician and the PA in developing and implementing their own written method for evaluating the PA’s competence and reasonable skill and safety in providing services that constitute the practice of the healing arts, that are delegated to the PA by the supervising physician. Question: How many Physician Assistants can be supervised by a supervising physician when they are at different practice locations? Answer: If the Physician Assistants and supervising physician practice at different practice locations, then up to three Physician Assistants may be supervised without Board approval so long as the supervising physician is able to adequately supervise each Physician Assistant. See K.A.R. 100-28a-17. A different practice location means any location at which a supervising physician is physically present less than 20 percent of the time that the practice location provides medical services to patients. A medical care facility, as defined by K.S.A. 65-425 and amendment thereto, is not a different practice location. See K.A.R. 100-28a-1. Factors indicating adequate supervision are: (1) The supervising physician’s ability to meet the requirements for supervision specified in K.A.R. 100-28a-10; (2) the supervising physician’s ability to provide the types of supervision that may be specified in the written agreement with each PA; (3) the specialty and setting of each practice location at which each physician assistant will provide services; (4) the complexity of the patient population that each PA will be treating; and (5) the clinical experience and competency of each PA. See K.A.R. 100-28a-17. Question: How many Physician Assistants can be supervised by a supervising physician when both the PA and physician practice at the same location? Answer: There is no fixed limit on the number of Physician Assistants who may practice under a supervising physician if the supervising physician practices at the same practice location, but the supervising physician must still be able to adequately supervise each Physician Assistant. Factors indicating adequate supervision are: (1) The supervising physician’s ability to meet the requirements for supervision specified in K.A.R. 100-28a-10; (2) the supervising physician’s ability to provide the types of supervision that may be specified in the written agreement with each PA; (3) the specialty and setting of each practice location at which each physician assistant will provide services; (4) the complexity of the patient population that each PA will be treating; and (5) the clinical experience and competency of each PA. Question: Can a physician holding an exempt or federally active license designation still supervise a PA who practices outside the scope of that designation? Answer: No. A PA can only practice within the scope of their supervising physician’s license. If the supervising physician’s license is limited to settings such as charity care, federal employment, etc., then that physician can only supervise PAs in the same setting. Question: Can a physician assistant prescribe a controlled substance? Answer: A physician assistant may prescribe a controlled substance if it is authorized by the written agreement in their active practice request form, and it is within the normal and customary practice of the supervising physician. Question: Can a physician assistant dispense prescription-only medications to a patient? Answer: Pursuant to K.S.A. 65-28a08(b)(2), a PA may dispense prescription-only medications if authorized by their supervising physician. The dispensing of the medications must be in the best interests of the patient and may only be done when pharmacy services are not readily available. Additionally, only a 72-hour supply may be dispensed. Question: Can a physician assistant distribute professional samples of prescription-only drugs? Answer: Yes, if authorized by their supervising physician, and (1) the drug is provided to the PA, supervising physician, or employer at no cost; (2) the drug is commercially labeled and distributed in the original unit-dose container; and (3) there is no cost to the patient. See K.A.R. 100-28a-13(g). Question: Is a physician co-signature required for a physician assistant’s orders and/or prescriptions. Answer: K.A.R. 100-28a-10(c) states that the supervising physician is not required to co-sign orders and prescriptions. Question: What are the requirements for a PA to practice at a different practice location from their supervising physician? Answer: A physician assistant may practice at a different practice location if the PA has spent at least 80 hours since being licensed under the direct supervision of a physician licensed in this state. The different practice location must be listed on the active practice request form and a physician licensed in this state must provide medical care to patients in person at the different practice location at least once every 30 days. The physician who practices at the location does not necessarily have to be the supervising physician and there is no minimum amount of care that must be provided by the physician. Written notice that the practice location is staffed primarily by a physician assistant shall be posted within the facility where the notice is likely to be seen by patients. Question: Is there a specific distance range a supervising physician has to be within when a physician assistant is practicing at a different practice location? Answer: Is there a specific distance range a supervising physician has to be within when a physician assistant is practicing at a different practice location? Relevant Statutes/Regulations: K.A.R. 100-28a-1a(f); K.A.R. 100-28a-9(f); K.A.R. 100-28a-9(e)(6). Question: Can a PA own a professional corporation or professional LLC? Answer: A physician assistant may own up to 49% of a professional business entity organized to render the professional services of a physician, surgeon or doctor of medicine, or osteopathic physician or surgeon, and may contribute up to 49% of the total capital of a professional liability company organized to render the professional services of a physician, surgeon or doctor of medicine, or osteopathic physician or surgeon. A physician assistant may own 100% of a professional business entity organized to render the professional services of a physician assistant. However, this business entity cannot employ, contract for, or otherwise offer the services of a physician. For example, a PA cannot own their own medical practice and have an arrangement for a physician to supervise them. If a PA wishes to form their own professional business entity, the agency strongly encourages obtaining the assistance of an attorney who is knowledgeable about structuring health care practices and is familiar with the limitations on professional ownership and scope of services. Relevant Statutes/Regulations: K.S.A. 17-2707; K.S.A. 17-2710; K.S.A. 65-28a13; K.A.R. 100-28a-18. Question: How does a supervising physician and/or PA terminate their supervisory relationship? The form should be completed by the supervising physician. Question: Can a PA perform acts that constitute the practice of podiatry, and work under the supervision of a DPM? Answer: K.S.A. 65-28a02 defines “direction and supervision” as the guidance, direction and coordination of the PA’s activities by the PA’s supervising physician. The statute further defines “physician” as a person licensed by the Board of Healing Arts to practice medicine and surgery. Therefore, a PA can only work under the direction and supervision of a Doctor of Medicine and Surgery (M.D.) or Doctor of Osteopathic Medicine and Surgery (D.O). Question: Is a license to practice respiratory therapy required to deliver and install CPAP and Bi-PAP devices? Answer: No. However, any patient monitoring, assessment or other procedures designed to evaluate the effectiveness of prescribed respiratory therapy can only be performed by or pursuant to the delegation of a licensed respiratory therapist or other health care provider. This includes setting BiPap/CPAP pressures during the initial setup and application or during subsequent adjustments, whether in person or by remote programming. Setting the pressures pursuant to a prescription is an aspect of administering the therapy and is not within the parameters of installing and demonstrating home medical equipment. Additionally, mask fitting is an integral part of administering CPAP/BiPap therapy that can only be performed by a licensed respiratory therapist or upon proper delegation. An employee of a home medical equipment company may install and demonstrate the equipment, but cannot perform any functions which constitute the actual application of the device on the patient. Question: Does a felony conviction impact a license or application for licensure as a respiratory therapist? Answer: The board may determine a felony conviction constitutes unprofessional conduct and deny or discipline a person’s license to practice respiratory therapy. The board may deny, refuse to renew, suspend, revoke or limit a license or the licensee may be publicly or privately censured where the licensee or applicant for licensure has been guilty of unprofessional conduct which has endangered or is likely to endanger the health, welfare or safety of the public. Unprofessional conduct includes being convicted of a felony if the acts for which such person was convicted are found by the board to have a direct bearing on whether such person should be entrusted to serve the public in the capacity of a respiratory therapist. Whether and what action would be taken depends on the underlying facts and circumstances of the conviction, and the behavior of the licensee or applicant since the conviction. Question: Is a short-term permit available for athletic trainers temporarily in the State of Kansas? For example, an athletic trainer contracted to provide services at a summer camp or at the Special Olympics? Answer: No, there is no provision within the Kansas Athletic Trainers Licensure Act that allows the Board to issue short-term permits except for a temporary permit that may be issued after a complete application for full licensure is submitted and approved by the Board. Relevant Statutes/Regulations: K.S.A. 65-6906(e); K.S.A. 65-6901, et seq. Question: Can an athletic trainer evaluate or provide clearance to a school athlete who has been removed from practice or play due to a head injury? Answer: No. School athletes at the high school, middle school or junior high level must be cleared for return to play by an M.D. or D.O. A school athlete at the high school, middle school, or junior high level must be removed from practice or play when the athlete suffers, or is suspected of having suffered, a concussion or head injury. A health care provider must then evaluate the athlete and provide written clearance before the athlete may return to play or practice. The School Sports Head Injury Prevention Act defines “Health care provider” as a person licensed by the state board of healing arts to practice medicine and surgery. Since an athletic trainer is not licensed to practice medicine and surgery, they are not a health care provider as defined in the School Sports Head Injury Prevention Act. Therefore, they are not a health care provider authorized to evaluate or provide clearance to a school athlete who has been removed from practice or play due to a suspected head injury. An athletic trainer is not restricted from evaluating or providing care to an individual with a head injury within the scope of their license. Question: What is required to terminate the physician-patient relationship? Answer: The Board of Healing Arts does not have any statutes or regulations specifically governing the termination of physician-patient relationships, except in the event the relationship is terminated due to a physician leaving active practice. If a physician leaves active practice, the physician must notify the board, within 30 days after terminating the active practice: (1) The location where patient records are stored; (2) The name, telephone number, and mailing address of the record’s agent, if the licensee has designated an agent; and (3) The date on which the patient records are scheduled to be destroyed. Professional responsibility will frequently dictate additional steps prior to the termination of a physician-patient relationship regardless of whether it is related to leaving active practice, or when the physician desires to end the relationship for other reasons. According to the American Medical Association, because of a physician’s fiduciary responsibility which includes an obligation to ensure a patient’s continuity of care, a physician must: (1) Notify the patient far enough in advance to permit the patient to secure another physician; and (2) Facilitate transfer of care when appropriate. The unique facts and circumstances related to a patient’s condition and care should be used to determine how much notice a patient should be given prior to the actual termination of the physician-patient relationship, and whether the physician should facilitate the transfer of care to another provider. Question: Can a physician refuse to treat a patient? Answer: There are facts and circumstances which may allow a physician to refuse to treat a patient, others that require treatment, and others that may require some type of screening in order to determine whether urgent treatment is required. An attorney should be consulted if it is uncertain whether a denial of treatment is permissible, and whether any additional precautions are necessary if treatment is denied. Question: How long must a physician retain patient records, and does this requirement differ dependent on the patient age or condition? Answer: For the M.D., D.O. and D.C. professions, the Kansas State Board of Healing Arts requires that patient records must be maintained for a minimum of 10 years from the date the licensee provided the professional service recorded. However, other agencies may specify a longer requirement. For example, the Kansas Department of Health and Environment (“KDHE”) requires ambulatory surgery centers to maintain the records of minors for 10 years, or until one year after reaching the date of maturity, whichever is longer. The American Medical Association recommends, due to the professional responsibility of a physician to retain patient records for future need, that medical considerations determine how long to keep records, and that any record be retained that another physician seeing the patient for the first time could reasonably be expected to need or want to know, including: (1) immunization records, which should be kept indefinitely; and (2) records of significant health events or condition and interventions that could be expected to have a bearing on the patient’s future health care needs. Question: Can a physician refuse to transfer medical records upon the request of a patient? Answer: If a patient or their legally designated representative requests the transfer of their medical record to another provider, themselves, or another representative, then a physician must produce the record. The record may be withheld from the patient and furnished only to another physician if the physician reasonably determines that the information within the patient record is detrimental to the mental or physical health of the patient. A reasonable, cost-based fee that is allowable under HIPAA may be charged to produce the records, except that a licensee of the Board shall not condition the furnishing of a patient record to another licensee upon prepayment of these costs. Relevant Statutes/Regulations: K.S.A. 65-2837(b)(20); K.A.R. 100-22-1; K.A.R. 51-9-7. Question: Does Kansas prohibit the corporate practice of medicine? Answer: Yes. In Kansas, a general business entity may not engage in a learned profession, such as that of physicians, chiropractors, attorneys and dentists, either through employment of or by contract with one of those licensed professionals. There is an exception to the prohibition if the entity is otherwise permitted by state statute to engage in the profession. A professional corporation or limited liability company that is wholly owned by licensed professionals is an exception. However, there are limitations on which professions are allowed to combine into a single entity, and other restrictions. Additionally, a hospital is licensed to provide medical services, and thus may employ physicians and other health care professionals. Some business relationships among physicians and corporations are proper. Physicians often engage management companies to handle their administrative functions. The Board urges its licensees to obtain the legal advice of an attorney knowledgeable in structuring health care businesses and the limitations of professional licensure laws when forming a business entity or contracting with a general business entity. Question: May a professional corporation organized to provide chiropractic services also employ a physician assistant to provide medical care? Answer: No. Physician Assistants can only practice under the delegation of an M.D. or D.O. It would be outside the scope of a chiropractic license and the chiropractic business entiy to do so. Additionally, the chiropractic entity cannot contract with an M.D. or D.O. to delegate authority for a P.A. to perform medical services. However, a properly formed and structured business entity co-owned by M.D.s, D.O.s and D.C.s may be able to provide integrated practice, but licensees should obtain knowledgeable legal advice before formation. Relevant Statutes/Regulations: K.S.A. 65-2836(g); K.S.A. 17-2706, et seq. Question: I am a Kansas physician that is forming a professional corporation, and one of the shareholders will be a Missouri professional corporation. The Missouri corporation is wholly owned by licensed physicians in Missouri and one of them is also licensed in Kansas. Is this acceptable? Answer: The provision in the Professional Corporation Law, K.S.A. 17-2712(d), states that a foreign professional corporation with at least one Kansas-licensed shareholder is considered a “qualified person” to form a professional corporation in Kansas. See K.S.A. 17-2707(d). A business entity that is not entirely owned by physicians (or other “qualified persons” pursuant to K.S.A. 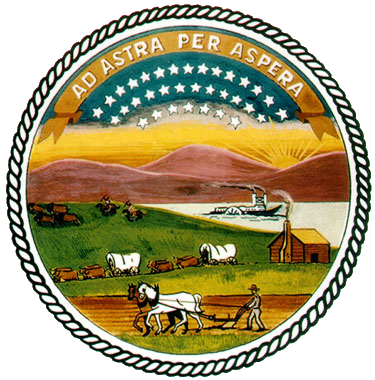 17-2707), cannot practice medicine in Kansas or employ a Kansas physician to do so. Additionally, a Kansas-licensed physician or chiropractor may not allow another person or entity to use the licensee’s license to practice. See K.S.A. 65-2837(b)(15). The licensee also may not directly or indirectly give or receive any fee, commission, rebate or other compensation for professional services not actually and personally rendered, other than through the legal functioning of lawful professional partnerships, corporations or associations. See K.S.A. 65-2837(b)(19). Question: I am a licensed esthetician and plan on opening a medical spa and hiring physicians to perform medical services or delegate them to me to perform. What are the requirements for opening such a business? Answer: Any business offering medical services can only be owned by a physician, or co-owned by the physician with other specified licensed professionals. A person who is not licensed to practice medicine may not open a business that offers medical services. Violation of this prohibition is a felony. See K.S.A. 65-2867. Additionally, Kansas physicians may face disciplinary action for fee-splitting with unlicensed individuals or entities. See K.S.A. 65-2837(b)(19). Question: When do I need to advise the Board of a change in my practice or mailing address? Answer: According to K.S.A. 65-28,126 each individual licensed, registered, issued a certificate or otherwise regulated by the Board of Healing Arts is required to notify the Board within 30 days of any changes in their mailing and/or practice address. Failure to do so may result in a fine.